He is suspected of encroachment on Ukraine's sovereignty. The Starobilsk District Court of Luhansk Region, which is hearing the case of the Party of Regions faction in the parliament of the 7th convocation, Oleksandr Yefremov, has extended his term of detention until 4 May 2018, inclusive. The court issued this ruling on 5 March, Interfax-Ukraine quoted the Prosecutor-General's Office as saying. 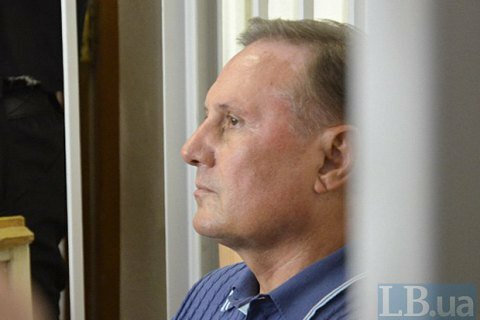 Yefremov was detained at Kyiv airport on 30 July 2016 on suspicion of undermining Ukraine's territorial integrity and sovereignty. He is also suspected of supporting the self-proclaimed Luhansk People's Republic (LPR) and the illegal acquisition of property belonging to the Luhanskvuhillya regional coal company. The Starobilsk District Court is currently hearing the case on counts of complicity in terrorism, encroachment on the territorial integrity of Ukraine and high treason. Yefremov is suspected of organizing the seizure of the Luhansk regional state administration in the spring 2014, supporting a foreign organization to conduct sabotage against Ukraine and supporting and establishing a terrorist organization, the LPR.